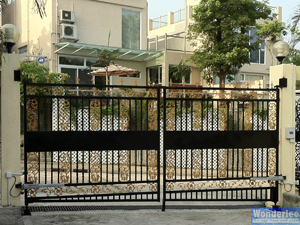 The swing gate is built with galvanized steel powder coated with matte finish. 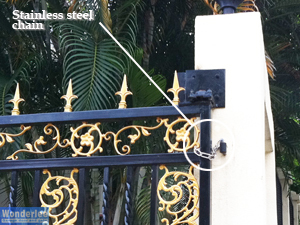 The gold color wrought iron arts are meticulously welded to the steel frame. 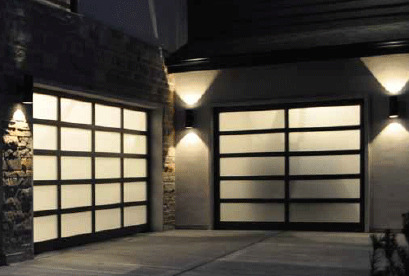 Because of the 1:24 slope, a skirt was built to even out the gap at the bottom. 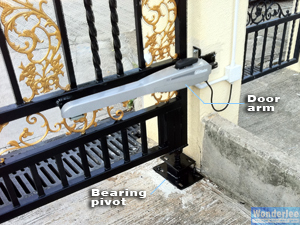 Instead of hinge, we deploy bearing pivot for smooth and long lasting operation.